Obtén el grado de Magíster y una Doble Certificación Académica. CENTRUM PUCP podrá efectuar cambios en la malla, secuencia de los cursos o profesores, de acuerdo a su política de mejora continua. De no cumplir con el quorum requerido CENTRUM PUCP se reserva el derecho de postergar los inicios de los cursos y programas. Los precios y condiciones del programa están sujetos a variación. 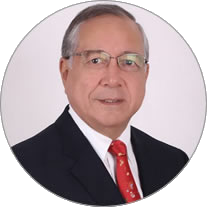 Magíster en Administración de Negocios, por la Pontificia Universidad Católica del Perú. Certificación en Administración de Negocios por Johannes Kepler University, Victoria University y CENTRUM PUCP Graduate Business School. Lima, Perú: de junio a agosto del 2020. Tener como máximo 26 años al iniciar el programa. Acreditar un dominio de inglés a nivel Avanzado. Certificación en Administración de Negocios por Johannes Kepler University, Victoria University, y CENTRUM PUCP Graduate Business School. Convivirás con un grupo diverso de estudiantes de diferente nacionalidad, cultura, idioma, que mejorará tu experiencia de aprendizaje intercultural, y hará de este un programa realmente global. Aprenderás de profesores internacionales expertos en sus campos, así como de su cohorte global, integrando el aprendizaje académico y experiencial en una experiencia completa. Ampliarás tus redes de contactos al interactuar con alumnos de Europa y Norteamérica al pertenecer a la comunidad de JKU Johannes Kepler University, Victoria University, y CENTRUM PUCP Graduate Business School. Tendrás la posibilidad de ser invitado a Beta Gamma Sigma, la sociedad honoraria de alumnos, graduados y profesores más importante del mundo. Accederás a ofertas y ferias laborales con CENTRUM Colocaciones. El Tricontinental Master in Business Management comprende en su estructura curricular bilingüe en las áreas de Estrategia y Liderazgo, Finanzas, Marketing y Operaciones. Para aprobar el programa, debes completar satisfactoriamente estas asignaturas, además de sustentar y aprobar una tesis de grado. CENTRUM PUCP podrá efectuar cambios en la malla, secuencia de los cursos o profesores, de acuerdo a su política de mejora continua. De no cumplir con el quorum requerido CENTRUM PUCP se reserva el derecho de postergar los inicios de los cursos y programas. In today's changing globalized world, managers face the challenge of creating adapting and changing organizations in order to obtain and maintain the success. Therefore, managers must develop skills for the strategic design of flexible, dynamic and well-targeted structures that enable organizations to successfully compete and cooperate over time. This course reviews the main foundations of modern management that allow participants to develop the capacities for strategically design highly competitive organizations. Information and knowledge are invaluable resources in today’s organizations. Knowing the methods, techniques and tools to exploit them is an unavoidable challenge for individuals, groups and organizations. Not only for specialists in information technology, but also for the MBA students in their role as business managers. Information systems and information technologies (IT) are critical to the survival and success of business. Their impact can be seen not only in the operation of the company but also in its strategies and in the search for and maintenance of competitive advantages. More so in a globalized world where borders fade quickly and a digital culture is imposed globally. Technology in general has changed the way companies do business, the competitive environment and the geographical area in which they develop production, sales, training, customer loyalty, and much more. Business managers seek to understand the impact these changes generate and, more importantly, will generate in the future. In that sense, the manager uses the advantages that information technology offers today to support business strategies in the new economy and electronic markets, all of which warrants updating the organization, control and management of businesses oriented towards their customers. The accounting and financial information is a reflection of business activities and is the main tool for planning, control, and for taking socially responsible decisions, up to the point of being called “the language of business”. However, most of the time is not an easy language to understand for those who are not directly related to financial reporting as it is based on a set of international standards for financial information. The aim of the course is to introduce participants to the concepts and principles of financial accounting as a basic element for managerial control and decision making. The learning approach is from the user's point of view and in terms of its use for managerial control, that is, the course is intended to show "how to use" accounting for managerial purposes, rather than "how to do it". In this part, we study financial statements (Balance Sheet, Profit and Loss Statement, Equity Statement and Cash Flow Statement) as basic tools of control, and analyze the principles related to financial transactions in monetary assets, inventories, fixed assets, debts, income and net worth. These tools are used in a socially responsible approach to decision making. Company decision-making processes are often complex as a result of the influence of many factors on the main interest variables as well as the transcendent nature of the consequences of the decisions. Even more so, in our times when the competitiveness of firms is related to their ability to adapt very quickly to changing conditions in their environment. Decision-making processes need not only be intuitive or based on the expectations and experience of the decision maker. On the contrary, the manager now has a number of techniques and tools to analyze decisions. This course presents the methods and main quantitative tools for the process of decision-making and special attention is given to the development of models to simulate real management problems in areas such as marketing, planning production operations, logistics, finance, continuous improvement processes and strategic planning. The knowledge and skill in the application of these techniques by modern managers is a competitive factor of the first order that results in a better contribution to the decisions of the company and the achievement of its strategic objectives. The Publications Manual of the American Psychological Association describe requirements for the preparation and submission of manuscripts for publication (American Psychological Association [APA], 2010). As a document established by the American Psychological Association, the APA Manual is presented as an academic tool that guides and illustrates the style to be followed in presentations of academic manuscripts. It provides guidance on: (a) the types of articles; (b) the role of ethics in publications; (c) the structure of the manuscript; (d) writing style; (e) the use of tables and graphics; and (f) source citations and references. All modern business is influenced by the economic environment within its local reach and subject to global disturbances. This course is intended to provide key economic concepts and modelling framework related with microeconomics in order to allow sound managerial decision-making as market profile, consumer decision, producer’s objectives and corporate dynamics as well as macroeconomic performances, indexes evolution and political economy decisions that constraint all corporate decision-making processes. Main topics are complemented with specific business and country cases for proper real-world identification with theoretical background. The course introduces the fundamentals of the behavior of the individual, the group and of the organization in the workplace. We discuss the role of the individual as the basic unit of an organization, analyzing it from various perspectives: values, skills, personality, perception, learning and motivation. We also analyze the formation of groups, their nature and the decision making processes at the organizational level, in the framework of the concepts of power, politics, conflict, teams, leadership and communication; the influence of behavior on organizational culture and change, and ways to manage it. Knowledge of the physiological bases is reinforced, as well as the social interaction from which individual behavior can be understood. Learning desired behaviors, sustaining motivation, group behavior, the management of organizational change and learning and responsible action in team are elements of that understanding, and so, contribute significantly to the results of the organization and to sustaining its competitive advantage in a sustainable manner. Financial resources should be professionally managed in order to identify the key variables that must be taken into account when making business decisions. This course provides the general framework for an efficient and effective decision-making process, which involves recognizing the business opportunities and needs, the capabilities, and financial means so as to address them considering the cost and risk implications that these decisions involve. The course emphasizes the decision making process within the Financial area, whose main objective is to maximize the company’s market value. To achieve this objective, the Financial Management must use the concepts, tools, and techniques that will be reviewed in this course. A special emphasis on the Peruvian financial market analysis will be made, but the course will be focused on a global perspective. Administrative management consists of two important moments: that prior to the action that corresponds to the time when decisions are made and translated into plans and budgets and subsequent to the action, the evaluation of the decisions, and that which corresponds to Control and translates into costs. This course deals with those two moments and how managers obtain valid information for their management. Marketing can be defined as the process by which the company creates value and satisfaction in the consumer in a cost-effective manner. This orientation is valid in any market situation, but it is much more in a context of increasingly rapid change, with increased competition and increasingly demanding and fragmented customers, as is the case of the modern globalized world. This is a course on the analysis and the planning of marketing. The course is focused on the development of skills for the identification of problems, an adequate qualitative-quantitative analysis, preparation of proposals for a solution for timely decision-making in a framework of social responsibility and business ethics. Operations Management is a process that involves planning, organization, direction and control of productive operations in order to achieve the company goals with efficiency, effectiveness and productivity. The operations in question are those whose processes combine, separate, repair, move, reshape or, somehow, transform resources aimed at obtaining a product, a physical good or a service. The operations of physical goods production are those whose purpose is to obtain goods that can be exchanged or traded and whose value depends on their physical properties. The operations of producing services are not associated with the physical properties of the product, but with the process designed to get the service for the customer that goes through the process that provides value added to it. When a surplus agent assumes the deficit agent’s counterparty risk, we are talking about a capital market operation. Important events in global financial markets, such as banking disintermediation, globalization, and information technology, have supported the operations and instruments in this market so that the growth is greater in the field of finance. The perspective of this course is to analyze the main market operations and instruments considering the hedging and arbitrage. The course will mainly have a global focus with specific applications to the Peruvian market. Any company is subject to suffer a crisis, whether it realizes it or not. Therefore, it is essential to understand that crises are connected with the internal and external networks of the organizations, and that their scope and magnitude have been increasing more due to mankind rather than natural disasters. A crisis can be the outcome of sudden change, or one coming from an evolutionary process. In the case of an evolutionary change due to human reason, this is not a strange and unusual event. Rather it is the result of a conflict situation badly handled, and that has been escalating to a critical point. Actually, a crisis can reach both organizational and personal environments, so that it becomes vital to be prepared and able to understand, prevent, address, and manage them as a part of our daily life. This course will provide the students with a comprehensive knowledge in relation to the phenomenon of a crisis and its impact on the individual inside and outside the organizations. It will also provide practical knowledge and tools to prevent and manage crisis from a vision that integrates the theory of crisis with the conflict theory from an organizational and personal approach. This Strategic Change is going to be developed following the Harvard Business School (HBS) case-based method to learn using situations lived by companies and persons, centering the learning process in the participant instead of the teacher. Cases are real situations presented in a narrative way. There are neither new nor old cases. The student needs to translate him or herself into the case actor shoes and to present the decisions made if he or she would have been the case actor. Strategic Management is the process of aligning the internal capacity of an organization with the external demands of its environment to achieve strategies committed to the vision of a desired future. These strategies are based on the mission and values proposed by the organization. The strategies require pertinent and appropriate resources to put them into practice. The strategic process requires a very detailed, initial analysis to get to an external evaluation of the environment and an internal evaluation of the organization as well as an industrial sector analysis and a competitors’ analysis. Having these inputs gained and this intuitive process learnt, students are able to select the resources necessary to fulfill the long-run objectives for the vision established. Provided this is a dynamic process, a permanent monitoring of the changing environment, the competences, and fluctuating demands is required. All cases used are from global companies which are models of good business administration best practices in any special circumstances. Managerial decision-making requires an adequate knowledge of the context of the organization, in order to reduce uncertainty and increase the chances of success in organizational performance. The growth of globalization makes a more complex scenario in which a manager must make decisions involving higher uncertainty and shorter response times, therefore increasing the risk. Consulting helps managers in aspects that are unknown to them, due to the specialization and the skills of the consultant to identify problems, transmit knowledge and provide information to the organization to improve its performance. The relevance of consulting lies in its ability to complement managers in their decision-making processes and their ability to implement change when necessary. The processes and methods used in consulting should therefore be known by managers seeking the success of their organizations, because at some point in their careers they will either work with consultants or they themselves might end up being consultants. This course is aims to give an overview of the main international aspects of the current globalization process in which companies, executives and traders are involved and need to understand to take advantage of business opportunities that international markets offer in the case of South America. The international aspects, foci of the course are relevant to international trade in goods and services and flows of foreign investments made in South America, and also the Caribbean. The course aims to provide tools for business activities related to both the domestic market and the external sector. The course reviews the procedure to be followed throughout this stage of the thesis development, regarding both administrative and academic issues. On the other hand, it helps students understand the structure of each of the thesis sections, and demonstrate this on the building of their document. Also it provides feedback on how to apply the tools leading to the final presentation. University of Victoria es una renombrada institución académica enfocada en la innovación y la investigación. Está ubicada en British Columbia, Canadá. Ha sido nombrada por segundo año consecutivo a los 100 mejores Programas de Administración en todo el mundo por Financial Times (FT) por su Programa de Maestría en Negocios Globales (MGB). La escuela ha ascendido en la lista con la movilidad internacional del programa (12) y la experiencia del curso internacional (21), que se encuentra entre los mejores de la lista de los mejores del mundo. La Universidad Johannes Kepler (JKU) de Linz y su imagen están fuertemente conformadas por los programas de estudio orientados al futuro, el mejor desempeño en investigación, numerosas colaboraciones locales e internacionales y un campus “Green”. Con su creación en 1966, la universidad JKU, es una universidad joven y a su vez es una de las mejores instituciones científicas en Austria, y como consecuencia se ha convertido en un centro de impulso para la ciencia, la economía y la sociedad. El programa incluye los costos de los cursos y los materiales que se usarán en ellos. No incluye alojamiento, ni alimentación. No incluye costos por trámites de pasaporte ni gastos de visado. No incluye seguro de viaje, costo de los pasajes aéreos, costo por exceso de equipaje, comunicaciones, consumos personales u otros gastos no especificados. Consulta a un asesor de capacitación sobre el inicio del proceso de admisión para el Tricontinental Master in Business Management. Tu postulación se procesa aproximadamente en tres meses desde el momento en que se lanza el programa, siempre que cumplas con entregar los documentos. El proceso se completa con una entrevista para la cual nos pondremos en contacto contigo. Aprobar el examen de aptitud (ECAP). Realizar una evaluación de dominio de inglés y acreditar un dominio a nivel Avanzado. Obtener un resultado favorable durante la entrevista personal. Formulario de inscripción. Iniciar Inscripción. Copia simple del diploma de bachiller o título universitario. Curriculum Vitae escrito en inglés (no documentado). Copia simple del Documento Nacional de Identidad DNI (ambas caras), o Carné de extranjería o Pasaporte, en caso de postulantes extranjeros. Constancia del registro del grado de bachiller en la Superintendencia Nacional de Educación Superior Universitaria (SUNEDU) para postulantes que hayan estudiado en Perú. Si la universidad no ha registrado el grado académico o título universitario en la SUNEDU, el postulante deberá presentar copia de Diploma de grado académico o título fedateado por la universidad que lo expidió (*). En caso el postulante haya estudiado en el extranjero deberá presentar una copia notariada de su grado. Cuatro (4) fotografías tamaño pasaporte (4×5) a color, con fondo blanco y vestimenta formal. Los costos de los viajes internacionales están cubiertos parcialmente (ver pestaña de Viajes Internacionales). Es necesario acreditar dominio idioma inglés, superior avanzado, para iniciar el programa. Es obligatorio acreditar un dominio intermedio de un segundo idioma para graduarte. La consecución de estudios en CENTRUM PUCP Graduate Business School es una decisión personal muy importante que implica haber evaluado, conocido y aceptado, entre otros, las condiciones académicas, económicas, administrativas y disciplinarias que deberá cumplir a lo largo de su periodo de estudios, así como el grado de compromiso y dedicación necesarios para culminar con éxito este gran proyecto profesional. Es por ello que, resulta necesario conocer el contenido de la siguiente NORMATIVA, así como tomar muy en cuenta su gran importancia, antes de iniciar el proceso de admisión. Con el inicio del proceso de admisión, usted declara conocer y aceptar esta NORMATIVA, siendo que desde dicho momento no podrá alegarse desconocimiento de la misma.